With its understated luxury, antique furnishings and original works of art, Cellars-Hohenort Hotel is a celebration of traditional values and gracious living. 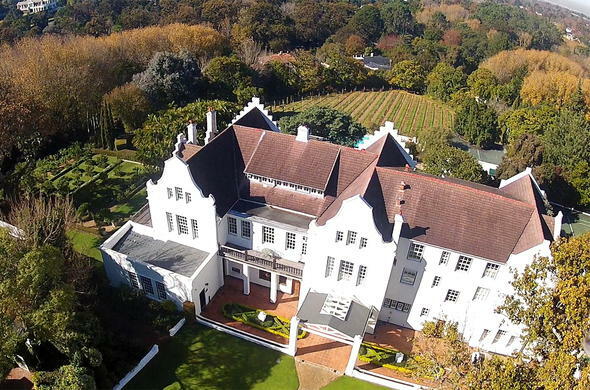 Situated in the heart of the secure Constantia Valley in Cape Town, The Cellars-Hohenort unifies 2 great traditions: the magnificent restoration of the Cellars of the 18th century Klaasenbosch wine estate and the splendid Hohenort manor house previously owned by the Spilhaus family. Located in the densely forested eastern slopes of Table Mountain, Cellars-Hohenort affords breathtaking views across the Constantia Valley, all the way to False Bay. The Cellars-Hohenort is adjacent to the world famous Kirstenbosch Botanical Gardens and minutes away from the Constantia Wine Route. There are breathtaking scenic drives around the Cape of Good Hope and 11 world-class golf courses in close proximity. The Cellars-Hohenort has 9 acres of magnificently landscaped gardens and a small vineyard. The gardens feature roses, herbaceous borders, herbs and indigenous flora.